HARARE’S premier nightspot, Club Connect, was the place to be last Saturday as it played host to DJ Fujee’s birthday bash. Being a prominent figure in local showbiz, Fujee’s party lived up to its billing as the club was packed to the rafters. 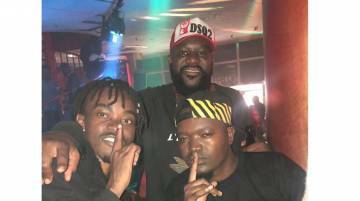 Prominent celebrities and socialites who included DJ Stavo, Chief J, Pokello, Craig Rain and Hillary Makaya among others added pomp and glam to the event. Champagne popping was the order of the night in the VIP booths as the capital’s big spenders engaged in their usual shenanigans- filling up tables with expensive bottles. Everyone who came through seemed to be in the mood to groove and the DJs on rotation did not disappoint as they churned out explosive numbers throughout the night. With the club having two separate dancefloors, patrons were spoilt for choice as both decks were offering different vibes. So explosive were the celebrations that merrymakers had to call the DJs to come back and play a bit more after the music had been cut off at the crack of dawn. 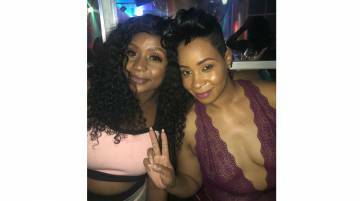 While the birthday factor added more flames to the joint, Club Connect has become the ultimate night spot in the CBD attracting hundreds of extroverts every other weekend. Since opening its doors late last year, the venue, which is located at NetOne building in the capital, has built a solid reputation as the go-to place for those who want to boogie until the sun comes out. The recent closure of Club Sankayi has effectively thrust Club Connect as the only high-end and trendy nightclub holding fort in the city centre. Offering unique concepts like the hugely popular Jameson Thursdays where whiskey is sold at half price, and Connect Saturdays where DJ Butler, Scara the Drummer and MC Tatts perform using a semi-live set — Connect has become a nightlife lifestyle centre. The club has simply taken over the capital’s weekend night vibe with its upmarket setting which surprisingly accommodates all and sundry.